Derbyshire (shortened to Derbys. alternately Derbs.) 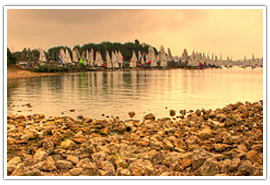 is a region in the East Midlands of England. A significant part of the Peak District National Park exists in Derbyshire. The southern limit of the Pennine scope of slopes stretches out into the north of the district. While the Roman intrusion was underway they were lured to Derbyshire due to the lead ore buried in the limestone slopes of the territory. 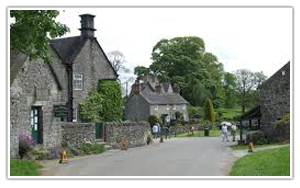 Derbyshire is a large county and has many industrial and economically important towns and villages. 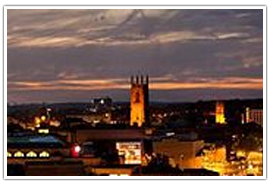 Derby is a city and unitary authority located in the East Midlands in England. It lies upon the banks of the River Derwent nestling to the south of the ceremonial area of Derbyshire, of which it is the main county town. The Roman camp of “Derventio” was most likely at Little Chester/Chester Green. The site of the old Roman fortress is at Chester Green. Later the town was known as one of the ‘Five Boroughs’ of the Danelaw. 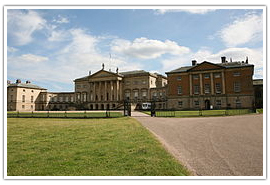 Things to see and do in Derby include Calke Abbey, Donnington Park, Pickfords Museum and Hardwick Hall. 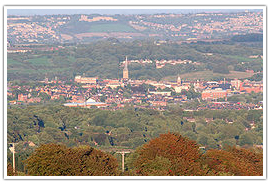 Chesterfield is an old market town which lies 24 miles north of Derby, on a conjunction of the rivers Rother and Hipper. Chesterfield got its market town status in 1204 and has a moderate measured market on three days a week. The town sits on an extensive coalfield which made up a significant portion of the town and area’s economy until the mid-1980s. 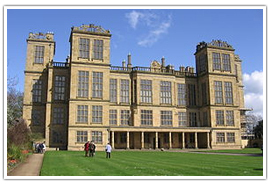 Points of interest here include Bolsover Castle, Stainsby Mill, and Tapton House. Buxton is a spa town close to the county border with Cheshire to the west and Staffordshire to the south. 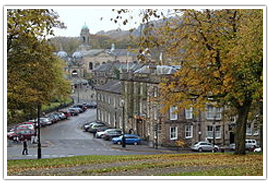 Buxton is portrayed as “the passage to the Peak District National Park”. 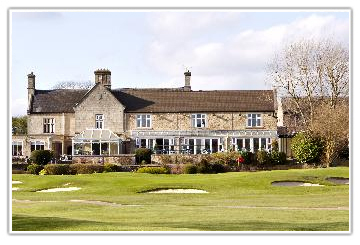 Based on the River Wye, near Ax Edge Moor, Buxton has a history as a spa town because of its geothermal spring which rises through natural mineral deposits at a steady temperature of 28 °c. The spring waters are channeled to St Ann’s Well in the town center which has been a shrine to St. Anne since medieval times. Points of interest in Buxton include Poole’s Cavern, Ax Edge Moor, and The Pavilion Gardens. 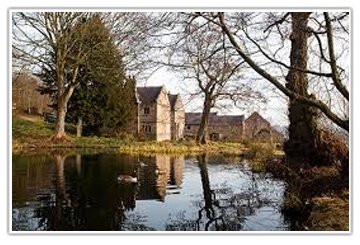 Derbyshire is a beautiful old county and is home to some truly wonderful parks and gardens. Constructed somewhere between 1821 and 1827, by the early 1930s it had been sold for destruction. Ilam Park, at the southern end of the Manifold valley, houses Ilam Hall and the remains of its previous gardens, woodland, and open parkland. There are sweeping ranges of parkland around the visitors’ car park and the Hall where visitors can unwind in the quiet ambiance of this delightful setting. The tranquil Melbourne Hall Gardens were built by Thomas Coke in the early eighteenth century. The peaceful and sedate gardens are intersected with pathways bordered by trickling streams that move all through the grounds. Rare bushes and historic statuary compliment this remarkable enclosure with its far-reaching yew passage and delightfully planted border gardens. 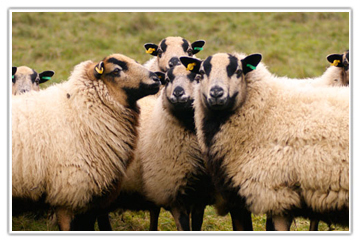 There’s always something to see and do in Derbyshire, or as its more commonly know “Derbs”. Hardwick Hall is one of Britain’s finest Elizabethan houses constructed for Elizabeth, Dowager Countess of Shrewsbury, who moved into her most recent creation in October 1597. The house itself remains in a proud position looking out over the encompassing fields alongside the remnants of Hardwick Old Hall. With its gigantic windows and significant proportions, the house sits within a country park known for uncommon types of dairy cattle and sheep and the walled and closed off gardens around the house incorporate a herb arrangement, plantation and ornate enclosures. Take a trek back in time to the 1760s at this tremendous Neo-classical chateau confined within old, beautiful parkland. Intended for extravagant entertaining and showing off a broad arrangement of art, sculpture and unique decorations, Kedleston is a dazzling example of the work of Robert Adam. 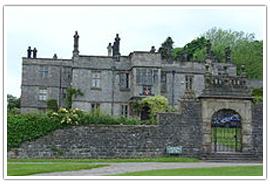 The Curzon family have existed here since the twelfth century and are still living at the Hall. 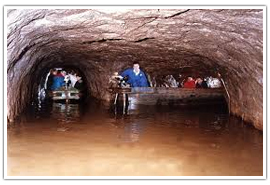 Take a wonderful boat trek 450m under the Castleton hills to see the wonderful Bottomless Pit and try to comprehend what life must have been like for the excavators working in this ominous eighteenth-century lead mine. Will you go out for a stroll into the infamous ‘Devil’s Arse’? See Peak Cavern’s noteworthy Rope-Making works on your guided tour of the cave. Experience one of our year-round musical occasions in the naturally-occurring amphitheater. Derbyshire has plenty to offer visitors who are interested in trying something new. 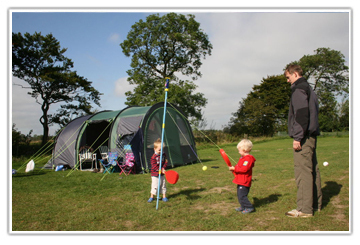 Featuring a Country Park with a lot of space for family recreations and picnics, as well as the newly renovated visitor center and a shiny new kids’ play zone, Carsington is a wonderful location for a family day out. 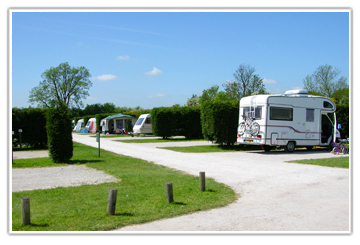 There is a cruising club and trout fishery for those searching for action and dogs are also welcome in the Country Park. Carsington also allows barbecues in the picnic area. 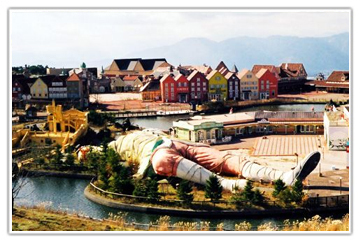 Arranging and organizing days out for little children and older children too can be difficult, but Gulliver’s Kingdom is special in that it is only intended for families with kids between the years of two and thirteen. The extensive variety of rides and attractions – from the Western World and Pirates play zone, to the log flume and Drop Tower – makes Gulliver’s Kingdom one of the best amusement parks for youngsters in the UK. Since first opening, its doors to guests in 1780 the Heights of Abraham has turned into one of the Peak District’s most mainstream attractions. 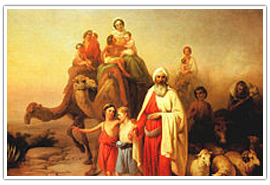 Initially, the Heights of Abraham was solely open to those few guests who could scale the steep sides of Masson Hill. In 1984 Britain’s first alpine style transport framework was introduced in the form of a cable car network. Climbing from the valley floor, the cars transport you in comfort and safety and allow for amazing views of the Derwent Valley vista and encompassing Peak District. Derbyshire is an expansively green county, dotted with old Victorian manor houses and estates, and where one finds such elegance and refinement, one finds a penchant for afternoon tea. 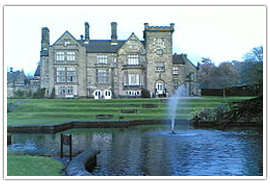 Breadsall Priory has a wonderfully well established and award winning restaurant that offers typically British food. They have a period-style lounge area that complements the hotel’s tasteful enclosures. 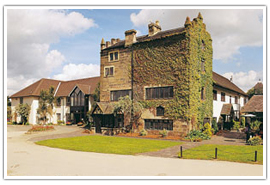 This beautiful hotel mixes thirteenth-century history with contemporary elegance and comfort. The menu includes traditional afternoon tea and scones, but for those with a daring palate, there is also a champagne tea available. Originally built by the Earl of Stainsby in 1850, Horsley Lodge is an enchanting country house in the heart of the Peak District. Tea might be taken in the “old Restaurant” with its astounding view of the slopes, lakes and the wellspring or even on the extensive terrace during the summer months. On the menu here are delicate finger sandwiches, exquisite feature cakes, and scones as well as fine, fresh tea and coffee. The Priest House is situated on Kings Mills, in the heart of the three rivers which was at one time a focus of the industrial business. Take Afternoon Tea in the brasserie which incorporates beautiful finger sandwiches, warm home baked scones with thick cream, homemade jams and preserves, heavenly cakes and a wonderful choice of tea. 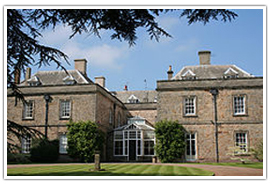 Wedding venues in Derbyshire are among the finest in the country, with old English halls and country estates offering their services all over the county. The Ashes is a wonderful Grade II listed family residence, and this exceptional setting with its listed barns is available for private hire. The beautiful formal gardens and the peaceful, serene lake look out over the parkland setting where the tree-lined drive is seen meandering gently up to the house over a beautifully preserved eighteenth century stone bridge. 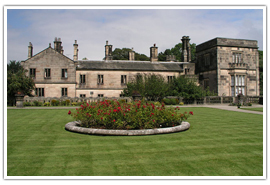 Lying sleepily in the heart of the beautiful Peak District National Park, and bordered by the expansive rolling greenery of the Derbyshire countryside, Tissington Hall will lend a charming setting to your wedding day. This grand Seventeenth-century building and its stunning gardens can be hired exclusively by you and your visitors, allowing you to relax and take full use of the house to celebrate your special day in style from April to October every year. 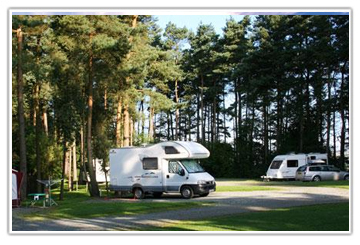 Derbyshire is replete with rolling hills and beautiful scenery, and it’s no surprise that it is home to many, many campsites and caravan sites.